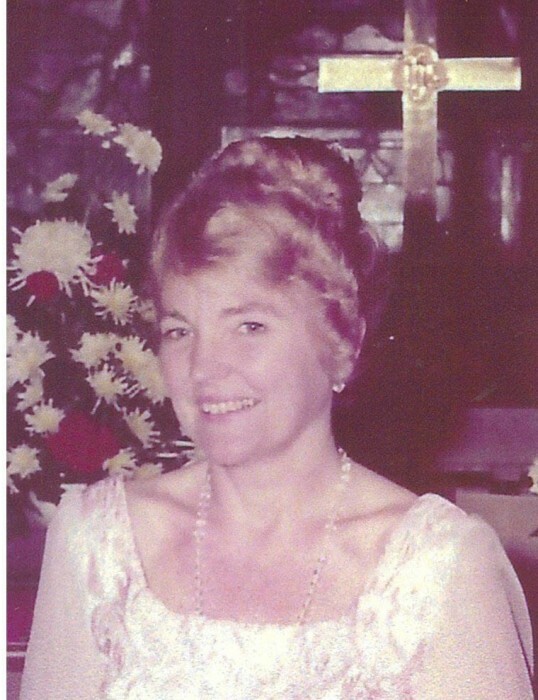 Evelyn Martha Johnson of Glen Rose, Texas passed away Tuesday, March 26, 2019 at her daughter’s home at the age of 91 years, 9 months and 20 days. She was born June 6, 1927 in St. Louis, Missouri to Hugo and Martha Sandau Strippgen. In December of 1972, she was united in marriage to Martin Johnson who preceded her in death. Evelyn was employed at Monsanto Co. in St. Louis as an executive secretary in medical records retiring from there after thirty plus years. While living in St. Louis, she attended the Lutheran Church. After retirement, Evelyn and her husband enjoyed traveling. She also spent much of her time sewing, knitting, reading, gardening and just enjoying life. She is survived by her daughter, Linda Jones and husband Barry of Glen Rose, TX; two sons, Bill Henley and wife Brianda of Lewisville, CO and Marty Johnson and wife Wanda of Mt. Pleasant, TN; grandchildren, Jerrod Seabaugh, Andy (Missy) Seabaugh, Marty (Carol) Johnson and Kathy Henley (Sam Jaffe); twelve great-grandchildren, Emily (Adrian) Hollier, Sam, Grace, Luke, Rylee and Tristian Seabaugh, Christian Carter, Cody Johnson, Russell Johnson, Christian Johnson, Dalton Dye and Molly Dye; great-great-grandchildren, Thomas and Isabelle Hollier; sister-in-law, Adalgard Strippgen of Bonn Terre, MO; other relatives and friends. Evelyn was preceded in death by her parents; her husband, Martin L. Johnson; and two brothers, Walter and Robert Strippgen. The Family received friends from 1:00 until time of service at the Britton-Bennett Funeral Home in Steelville, MO. Funeral services were held at 2:00 p.m. on Sunday, March 31, 2019 at the Britton-Bennett Funeral Home in Steelville, MO with Rev. Darrell Nichols officiating. Special music of “Amazing Grace, My Chains are gone” and “Long Way Home” was played. Committal prayer and interment were in the Wesco Cemetery, Wesco, MO. Honored to be casket bearers were Bill Henley, Jerrod Seabaugh, Andy Seabaugh, Barry Jones, John Jordan and Bill Burgdorf.